Showroom > Cant find what your looking for? You design it, We’ll build it! Cant find what your looking for? You design it, We’ll build it! Want a new Caterham but dont have the budget for it? Maybe you do! We are now offering a unique service to the Caterham world which will allow you to create your very own used car, thus eliminating the 1 negative to buying used, compromise! There are a lot of quality used Sevens out there, which in the right hands, can come out just like new! 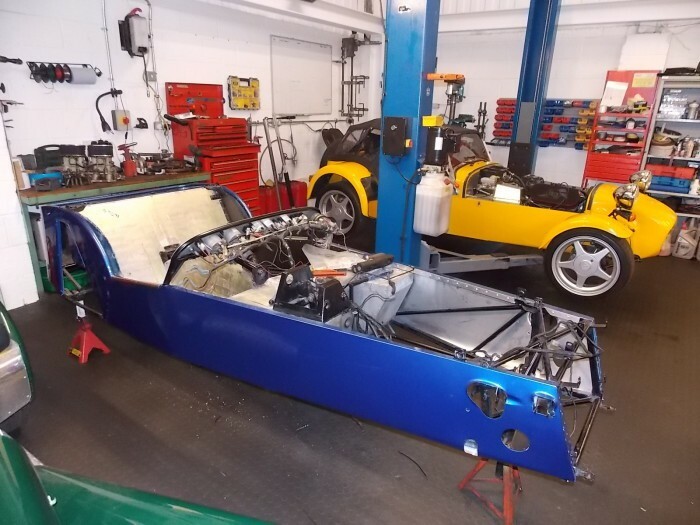 Here at Sevens & Classics we have all the facilities and experience required to completely rebuild any 7 and in doing so can build them to any specification! If you are looking for a Caterham but just cant find the spec you want why not give us a call, we might just be able to build it for you! Sevens and Classics Limited was founded to provide our customers with a wide choice of quality Sevens and Classics, backed up by a professional, passionate and reliable service. Our aim is to exceed our customers’ expectations whenever possible, offering a relaxed and entertaining environment. Whether you are looking to buy, sell or just take a look around our busy showroom, you will always find a welcoming atmosphere at our Brands Hatch location. As well as buying and selling quality used cars, we also offer full service and repair facilities using our in-house body and paint shop.We would be delighted to welcome you to our premises; why not pop by to see what we have to offer. We guarantee it will be worth it!